AMSTERDAM, the Netherlands – For the first time in years the sale of electric bikes showed no further growth in the Netherlands in 2016. However, it didn’t drop either and even saw its market share grow a little as total bicycle sales dropped by 5.7% last year. There’s also good news as for the 4th consecutive year the total bicycle market value in the Netherlands reached a record level. 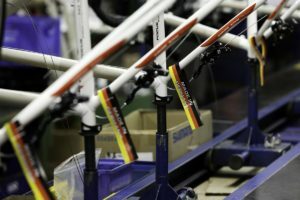 The turnover made with the sale of new bicycles and e-bikes ended at close to €1 billion on December 31, 2016. Despite this record the Dutch industry association RAI-Vereniging reported that the 2016 sales volume declined to the lowest level in thirty years. The RAI-Vereniging 2016 market statistics show a total of 928,000 new bicycles and e-bikes were sold in the Netherlands. The total retail value of those sales stood at €937 million. The statistics also indicate e-bike sales hovered around the same level as in 2015 – at 270,000 units. The growing importance of the e-bike category, pushing up the average retail price, continued in 2016, though at a much lower pace. 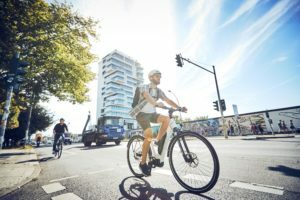 The market share for e-bikes increased again – from 28% in 2015 to 29% last year, making it the second largest category after city and touring bikes. 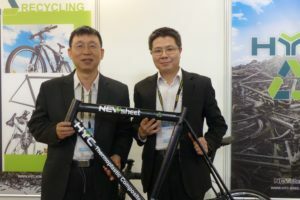 Thanks to e-bikes the total market value increased by 4.2%. Also, for the first time in history the average retail price in all distribution channels, including on-line, exceeded the €1,000 mark and ended at €1,010. For the IBD channel only, the average retail price stood even higher – at €1,094. In 2016 the total bicycle market volume decreased by 5.7%, from 983,000 units in 2015 to 928,000 bicycles last year. Not since 1987 has the market reached such a low volume. The Dutch market shows a steady decline since 2007 as in that year the market volume tipped the 1.4 million units, an absolute record. 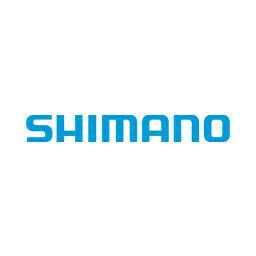 This was not the only change occurring in the bicycle retail market. In 2016, IBDs managed to increase their market share in volume substantially; from 70% to 76%. 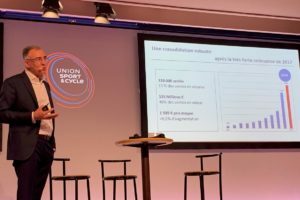 Wouter Jager pointed to the bankruptcy of the renowned department store chain Vroom & Dreesman as well as the retail chain Halfords NL as a contributing factor. 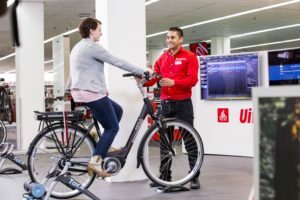 Although Halfords NL made a restart on a smaller scale “the turnover in bicycles of both formulas who were offering bicycles in the low to mid-end range has partly been taken over by several webshops,” Jager said. The same goes for the market share of large DIY-stores who have greatly limited their bicycle offerings in the past few years. Unfortunately the statistics of the RAI-Vereniging do not clarify the market share of webshops, as the growing importance of online sales is a leading issue regarding the future of the IBDs. In an official ceremony at the end of March Dutch Minister of Transport Melanie Schultz handed this speed pedelec helmet to the cyclists’ federation Fietsersbond. “This is a fine example of innovation,” said Minister Schultz at the presentation. 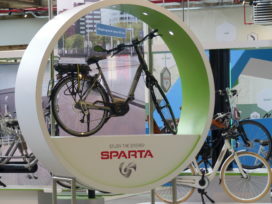 “The market develops a nice product the consumer likes a lot and the government adjusts the laws and regulations as soon as possible.” According to the RAI-Vereniging the fleet of speed-pedelecs in the Netherlands already exceeds 10,000 units.